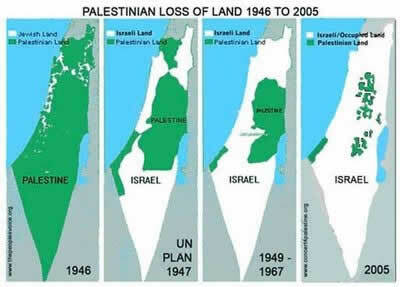 Israel wants Palestine to disappear. Stealing all valued Judea and Samaria areas advances its agenda. So do other lawless acts. Gaza's siege is Exhibit A. Imposing it has nothing to do with security. It's called the world's largest open air prison for good reason. It followed months after Palestinians elected Hamas their legitimate government. Suffocating them is called slow-motion genocide for good reason. It's been ongoing for over six years. Around 1.7 million Palestinians suffer hugely. Israel unjustifiably calls Gaza a "hostile entity." It claims a unilateral right to lay siege. Land crossings are blocked. So are sea and air access. Israel maintains total control. It destroyed Gaza's economy. Poverty and unemployment are extreme. Most Gazans lack food security. Essentials are in short supply. Power outages occur daily. Israeli incursions and attacks happen regularly. According to Oxfam, Israeli ground forces invaded Gaza nine times in September. Farmers were shot in their fields. Fishermen were attacked at sea. Children are treated like adults. On September 30, live fire killed a Palestinian civilian. He was about 400 meters from Israel's border. He threatened no one. Israel murdered him in cold blood. Since last November, seven Gazans were killed. Another 124 were injured. Many were arrested. Incidents have nothing to do with security. They reflect state-sponsored terror. Almost all Gaza water is unfit to drink. It's contaminated. Unavailable spare parts and frequent power outages prevent proper wastewater treatment. Overall sanitation is poor. Gaza's tunnel economy is a shadow of earlier times. Imports are restricted. A near total ban on exports persists. Nothing functions normally under siege. Critical shortages exist. Medicines, construction materials, fuel, cooking gas, and other essentials are in short supply. On October 15, B'Tselem headlined "Disruptions at Rafah Crossing highlight Israel's duty to enable Gazans' travel abroad." Except for Rafah, Israel controls Gaza border areas. From June 2007 until mid-2011, its crossing was mostly closed. In late May 2011, Egypt eased policy. Gazans could study abroad, seek medical treatment, leave for work, visit relatives and travel for other reasons. After Mohamed Morsi's July 3 ouster, things changed. Crossings are mostly restricted. Most Gazans wishing to travel can't do so. Even those exiting do so at personal risk. Traveling to Cairo's airport is hazardous. Fighting persists in Sinai. Getting through safely is no easy task. Gazans with no other choice risk it. From January through June 2013, 1,353 persons passed through Rafah both ways daily. Since then, numbers dropped sharply. Daily averages fell to 526 in July, 363 in August, and 217 in September. Students studying abroad have great trouble getting permission to leave. Doing so for Egyptian medical treatment is restricted. Gaza merchants can't do business normally. Job seekers can't go abroad to find work. Gazans wishing to attend professional seminars and work-related meetings can't leave through Rafah. Israel prohibits Gazans from operating an airport. They have no way to leave by sea. They can't reach the West Bank. They're not allowed to use Ben Gurion Airport. Even when Rafah is open, arbitrary restrictions apply. Entry into Egypt is uncertain. It's time-consuming. Judicial redress can't be sought. On October 1, six Palestinian human rights organizations and the Palestinian Bar Association submitted a joint written statement to the UN Human Rights Council's 24th session. It highlighted Gaza's dire condition. Israel is the occupying power. It's responsible for the well-being of 1.7 million people. Israel operates lawlessly. It inflicts collective punishment. It restricts essential goods. It denies free movement to get them elsewhere. It violates Fourth Geneva doing so. Gazans are besieged. They suffer horrifically. "The submitting organizations call upon the international community to intervene to pressurize the Israeli authorities to immediately lift the illegal closure, in particular by ceasing the border restrictions imposed on imports, exports and the movement of people. It must put stop the policy of collective punishment of the civilian population." "Furthermore, they call upon the High Contracting Parties to" enforce international law. "Finally, the submission calls upon the Egyptian authorities to reconsider its decision to close Rafah crossing point in order to end the suffering of thousands of Palestinian who have been trapped in the Gaza Strip, Egypt, Cairo International Airport and other countries." On October 8, a World Bank press release headlined "Palestinians Access to Area C Key to Economic Recovery and Sustainable Growth." Israel controls over 60% of the West Bank. Palestinians are denied access. A World Bank study "sets the current loss to the Palestinian economy at about US $3.4 billion" annually. Oslo stipulated that Israeli controlled territory gradually transfer to Palestinian Authority control by 1998. It never happened. It never will unless world leaders force Israel to do so. According to the World Bank, Palestine needs about 6% annual growth to absorb new labor market entrants. It needs it to decrease youth unemployment. "(U)ugent attention is needed to find ways to grow the economy and create jobs." "A vital economy is essential for citizen well-being, social stability and building confidence to underpin the challenging political negotiations." "However, the Palestinian economy, which currently relies on donor financed consumption and suffers from ongoing stagnation of the private sector, is unsustainable." If businesses and farms in territory under Israeli control could operate freely, Palestine's economy would grow "as much as 35 per cent." Israel prevents it. Militarized occupation substitutes for liberation. Palestinians are on their own to change things. So-called Israeli controlled Area C holds Palestine's most valued resources. Access to them could add about $3.4 billion annually to its economy. Israel's chokehold would end. Jobs would be created. Unemployment would decrease. Aid dependency would decline. Life and well-being would improve. Self-determination would follow. Israel deplores the idea. It wants total control. It wants Palestinians isolated. It wants them confined to worthless scrubland. It wants most of them gone. It wants enough cheap labor left to exploit. It wants puppet Palestinian governance controlling them. It wants them denied all rights. Palestine's viability depends on ending occupation. The World Bank report says so. John Kerry's so-called economic revival plan is fake. It's a neoliberal hoax. Implementing it assures greater exploitation. Under Oslo's Paris Protocol, neoliberal policies began. Israel took full advantage. So did Western investors. The initiative was one-way. It pretended Israel and Palestine were equal partners. Palestine's totally subordinated and exploited. Ordinary Palestinians suffer hugely. They pay much higher prices for essential products and services. They're dependent on imports. Around 80% come from Israel. Palestinians lucky to have jobs get poverty or sub-poverty wages. Inequality is force-fed. It's institutionalized. The Palestinian Authority is a willing co-conspirator. Kerry wants more of the same. He wants greater exploitation than already. Draconian Israeli policies paralyze Palestine's economy. They include restricted movements, stolen land and other resources, deteriorating infrastructure, poor transport, insufficient water and trade constraints. Kerry's peace plan is unconditional surrender. It assures business as usual. It denies Palestinians all rights. It heads things for worse times ahead than now. It prevents any chance for viable self-determination. It hands Israel everything it wants. It disappears Palestine one stolen dunum at a time. It doubles down harshness through militarized control. It enforces state-sponsored collective punishment. It denies Palestinians a viable future. It leaves them isolated out of luck. It leaves them on their own to change things. What better time to start than now. Netanyahu employs many paid advisors. Conflicts of interest are rife. Gabi Kadosh formerly was Eilat's mayor. He held various other municipal positions. He advises Netanyahu on settlement issues. He lives in northern West Bank's Alei Zahav settlement. He signed a conflict of interest agreement. It declares he owns and directs Israel TD (Tourism and Development). It's involved in real estate development and marketing. "In January 2010, before assuming my position in the PMO (Prime Minister's Office), the company ceased its activity entirely." "I promise that there will be no activity at all in the company during the period when I am serving in my job with the exception of the receipt of future income from two projects in which the firm was involved." As settlement issues advisor, he promises "not to handle any issue that directly or indirectly affects contacts in the real estate field, or to advise tourism projects, including processes of contacts, the choice of suppliers/service providers in this field, defining terms of contact and any other such issues." "The above mentioned does not prevent my handling a tourist or real estate issue with the various government bodies and receipt of information from them for the purpose of my official position." He promised "not to engage in issues related directly or indirectly to the city of Eilat." He made other related promises. Kadosh's "creativity" is "impress(ive). At his suggestion, urban settlements are to be defined as rural ones." Doing so eliminates publishing tenders. It's standard practice to market land. It's a nuisance. It's "the key difference between definitions: Rural settlements get their land from the World Zionist Organization." It allocates it to various settlement movements. They can sell it without tenders. Urban settlements require them. They delay construction. They cause headaches. They obligate recipients twice. First they need construction permits. With them they need permission to market land. They "create an international problem" because they're published. Doing so sparks criticism. It tarnishes Israel's image. Kadosh's solution is redefining settlements. Doing so would end what little transparency exists. It "would transform state lands into a private business run by settlement movements." Government secrecy, "land allocations with no public supervision, and the circumvention or distortion of the law by means of administrative decisions are the rotten fruit that ought to worry every Israeli, regardless of whether he is for or against the settlements." Israel should "shelve Kadosh's bad advice." Perhaps he stands to gain by implementing it. Israel's settlement project is lawless on its face. Good advice would say end it.